My mother taught me that prices at the store can vary widely, depending on the time of the year. She told me it was best to buy produce in season when they are cheapest and freshest. I follow her advice when grocery shopping since I want my family to enjoy meals that are delicious, healthy, and affordable. What I discovered is that there are fruits and vegetables available for each month and season of the year. Here’s a list I came up with for the best times to buy fruits and vegetables. For more variety, I also included items that are not very popular but still meet my criteria for flavor, nutrition, and budget. There’s also a recipe for each month featuring the fruits and vegetables in the list. So what’s fresh and affordable each month? Depending on where you live, the winter months can be the most difficult time to find fresh produce. As a little girl, I remember certain things being luxuries in January but becoming staples in July, and vice versa. After researching this article, I no longer need to wonder, and I hope you won’t either. We think of fruit as being a “summer” item. It’s rather surprising to find that there are many fruits which are harvested in the winter months. Tangerines are one such fruit, reaching their peak in December. “Chestnuts roasting on an open fire, Jack Frost nipping at your nose…” Not just pretty words, it turns out: chestnuts reach their peak in the festive month of December. Also called “the Fruit of the Gods,” these delicious fruits reach their peak in the winter months. Golden and delicious, they’ll bring a taste of summer to the bleakness of December. Wait, bacon avocado? Sadly, it’s not a bacon-flavored avocado; it was just named for the person who invented this variety. It is a sweet, creamy avocado that makes an excellent salad dressing and is ready to harvest in December. Known as the “eating orange,” these delicious specimens are perfect as a snack or in a salad. Navel oranges are ripe in December. An ancient fruit recorded as far back as the time of the Roman empire, this seemingly strange fruit is a delicacy in hiding. Able to withstand extremely cold temperatures, these fruits are best harvested in December. One of the oldest domesticated vegetables, turnips are a staple in many European diets. As a winter harvest, they make an excellent soup to warm the cold nights. Cabbage is a hearty vegetable in itself, and the savoy breed is especially hearty as a December crop. Extremely versatile, you can make salads, chips, or even soup with this produce. According to Greek Mythology, this sweet red fruit is the very fruit Persephone ate, trapping herself in the underworld for half of each year, the half we call winter. How fitting, then, that this fruit should be at its peak in December. 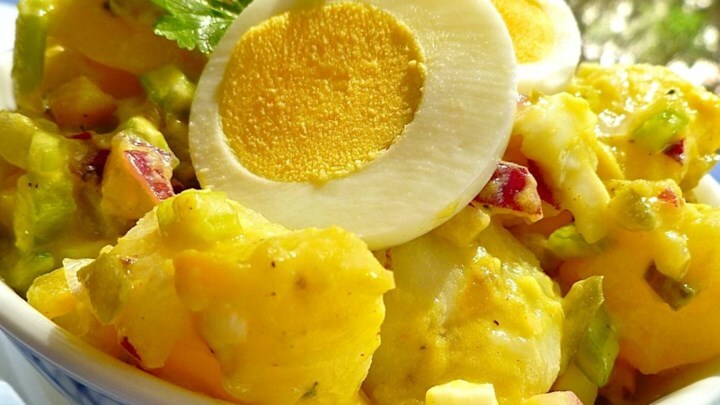 Although they resemble turnips, rutabagas are a much tastier vegetable. I personally prefer them mashed like potatoes, but they taste quite good roasted, too. If you’re lucky enough to live somewhere farmer’s markets are a year-round thing, buying at the end of the day can save you a ton of money as stalls try to get rid of their produce before they leave. Watch your local store sales. Most grocery stores now have apps that will help you keep track of coupons, sales, and more. Utilize those to help you save the most money on fresh produce. Get the most out of your produce—make sure you are storing them properly. One of my favorite greens, spinach makes an excellent salad. You can also add it to many dishes. This crisp vegetable is quite hardy and it is able to survive the dark, cold winters. An excellent seasoning for many savory dishes, green onions are a crop which comes into season in January. Throw them into a salad with some spinach and have yourself a taste of summer in the New Year! A popular veggie in the South, mustard greens reach the peak of their season in January. I love mustard greens cooked with ham steak and black eyed peas, a dish my grandmother used to make every New Year’s. An excellent addition to stir-fry, bok choy is an Asian vegetable hardy enough to survive the cold snaps of winter. I may have a slight obsession with avocado. They’re a great addition to smoothies, and different varieties are fresh throughout the year. The Hass avocado is newly in season in January and makes a great guacamole. These tangy, juicy citrus fruits are an excellent breakfast option. A bite of these in January will send your taste buds on a pleasant vacation straight to a tropical beach. Kiwi is a fairly hardy fruit that comes into season at various points in the year, and January is one of those times. Green like spring, kiwi is an excellent addition to any fruit salad. As with kiwi, passion fruit tends to come into season throughout the year. One of those times is January, and let’s be honest—anything sweet, fresh, and delicious in January is more than welcome! I’m not the biggest fan of fennel myself; I’ve never cared for licorice, and the taste of fennel reminds me of it. However, it does go well with salads, roasted meats, and such. Interestingly, the name of this Asian fruit means, roughly, “gold orange” in China, making its festival in Dade City, Florida all the more appropriate. These odd-looking fruits are meant to be eaten whole, but also make an excellent preserve. When you buy bok choy, make sure you look for firm, white stalks and dark, crisp greens. Spinach stems should be thin, so avoid any that aren’t. Kumquats have delicate skins and bruise easily, so be sure to examine each fruit closely before buying. 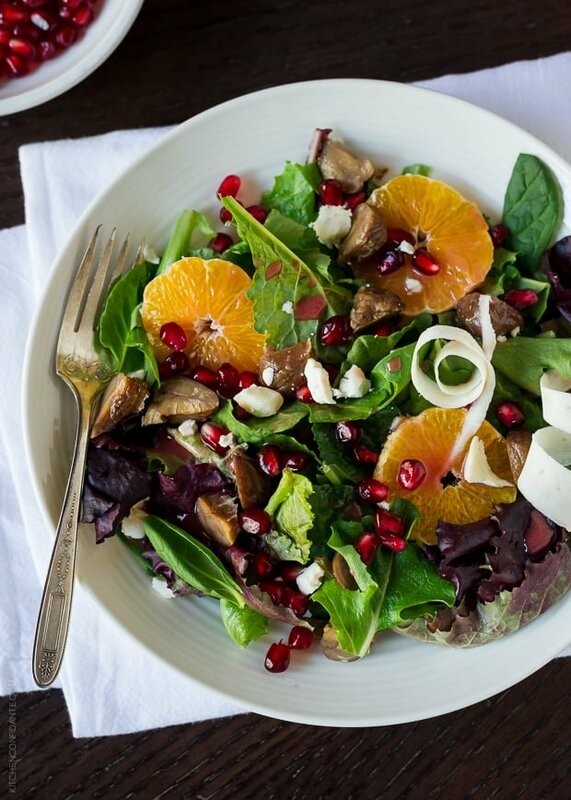 Seedless, juicy, and sweet, these citrus fruits come into season just in the nick of time. They are the perfect on-the-go snacks for kids. Asparagus comes into season in February, lasting well into the spring and early summer. One of my children’s favorite snacks is Ants-on-a-Log, the classic celery stick with peanut butter and raisins. Now I know when to get celery at its freshest for this healthy snack. Although I’ve never cared for radishes myself, after researching this list and learning of the many benefits radishes have to offer, I may have to rethink that come February. To be honest, this is one vegetable I’d never even heard of before. Taro root is, as the name implies, a root vegetable which is popular in Japanese cooking. It is usually harvested in February. Although they look suspiciously like carrots, this root vegetable has a texture and flavor all its own. A biennial plant, parsnips are perfect in stews. They are available from February through early summer. Did you know that strawberries are not actually berries? No matter what they are, these popular red fruits always marked the coming of spring when I was little. They grow best during months with cool nights and warm days, like February. Rhubarb grew in patches around my childhood home, and I remember picking the plant to eat raw while wandering the woods with my siblings. February is when this tart fruit begins to show up, and you can bet I’ll be first in line to buy it all up. As winter gives way to spring, citrus fruits are an excellent source of vitamin C after those long, sunless days. Mandarins are ready for harvest in February. They make an excellent addition to fruit smoothies. Another excellent citrus too often overlooked, this cousin of the grapefruit is less tart than its more popular counterpart. It makes for an amazing substitute in all kinds of citrus-based recipes. Citrus fruits freeze well, so take advantage of this by freezing any unused fruits before they go bad. Don’t wash rhubarb until you are ready to use it! Produce is often sprayed with a light mist of water in the refrigerated section – this can actually make your produce heavier and cost you more, so shake it off before you bag it. Spring: the harbinger of summer, the promise of adventure and sunshine. In northern states, the snow begins to melt and leaves begin to blossom on trees again. As the cold of winter slowly disappears, you begin to have more choices for fresh produce. Artichokes look like little grenades and they are quite versatile. Dips, stews, seafood dishes, and more are complemented by this Mediterranean native. What better cuisine to welcome the end of winter than a taste of the Mediterranean? A favorite side dish, broccoli is chock full of the vitamin C we’re all lacking come spring. No wonder it’s fresh in March! Available throughout the year in various climates, March is an excellent time for beets in most regions. Technically fungi, mushrooms first start showing up as the snow leaves the ground in March. What type of peas you get depends on what time of year you harvest them. Peas harvested in March, when it’s still chilly outside, aren’t as sweet as peas from later harvests, but still just as yummy! Technically an herb, mint is a pretty traditional spring flavor. From mint jelly to mint Girl Scout cookies, this March plant is a favorite worldwide. An ancient fruit which is tricky to grow and produce, the cherimoya is well worth the struggle. Eaten raw or baked in a pie, make the most of this creamy fruit by buying at the start of the season. Although this popular fruit can be found throughout the year, pineapples are at their peak from March to July. Guava is a popular fruit for smoothies, juices, jellies, and more. Requiring a tropical climate to grow, it can be found in season from March onward through the warmest months of the year. Yet another citrus fruit finds its way onto our list. As yellow as the sunshine breaking through the winter skies, lemons are a hardy fruit popular for its tangy juices. Choose broccoli with green heads and tightly packed florets. To make sure your lemon isn’t a, well, a lemon, select ones that are heavy and have shiny skin. Store loose mushrooms in a paper bag or a damp cloth bag in the fridge. If you’re as much of a fan of Mediterranean food as my family is, you’re probably familiar with the little green gems known as fava beans. Also popular among Middle Eastern cuisine, these legumes come into season in April. They are an excellent side dish for lamb. A Japanese green, mizuna is commonly found in baby lettuce mixes. Coming into season in April, mizuna would make a tasty addition to your next salad. Contrary to what the name of this vegetable may have you thinking, broccoli rabe is actually more closely related to the turnip than it is to broccoli. At its peak during this time, broccoli rabe is best prepared similarly to mustard greens. Named for its appearance, which puts many in mind of the end of a violin, fiddleheads are immature ferns. Appearing in early spring, they taste similar to green beans. Not to be confused with life’s guiding principles (morals), morels are a species of edible mushrooms which have a honeycomb appearance. Like other mushrooms, they begin making an appearance in the spring months. Nettles get a bad rep as an itchy weed, but don’t write them off the menu just yet. Packed full of nutrients, this spring treat will add a rich, earthy flavor to any soup or stew dish. Upon finding out that arugula is also called the rocket plant, my son promptly begged me to buy as much as I could. So, parents, good news! Just tell them these nutritional, peppery greens are rockets and they’ll eat them up. Dandelions are more than just a bright yellow flower, it turns out. Their leaves make a sweet addition to your favorite spring salads, which coincides perfectly with their peak. Green garlic is the young garlic that appears in early spring, before the buds we’re more familiar with show up. With a less spicy flavor than its more common counterpart, green garlic can be used raw or cooked. Found on the prickly pear cactus, nopales are popular in Mexican cuisine. Making an appearance in April, the nopal is very similar to okra. When you buy fiddleheads, look for a tight coil and only an inch or so of stem. Wrap green garlic in a damp cloth and place in a plastic bag in the refrigerator to store. Although fresh is always best, buying frozen produce can often save money, as is the case with artichokes. A plum and apricot cross, apriums are very sweet. Only available from specialty growers, apriums make a wonderful spring snack. Once described as being what would happen if you cross a mango and an apricot, these fruits are often quite tart. Be careful to remove the seeds. Just like apple seeds, loquat seeds have toxins. Also known as Bibb or Boston lettuce, this spring lettuce has a sweet flavor that makes for an excellent pairing with a vinaigrette dressing. Starting in May, corn is in season! I love corn, with just a little bit of butter and dill weed. A fruit of Middle Eastern and North African origin, Medjool dates are best eaten fresh, as opposed to the dried dates most of the world is used to. With a rich, caramel-like taste, these fruits are harvested throughout the spring. Although apricots can be found in canned or dried form throughout the year, they are fresh in spring. Although popular in Asian countries, this fruit has only just started to make its way west, with few specialty markets carrying it. If you can find it, though, it’s well worth the search. It would seem Asian fruits are partial to this time of year for blooming. Lychee is a soft fruit and the only one of its kind. Cherry ripe, cherry ripe, ripe, ripe, ripe… This popular fruit starts ripening in the early spring months. Peaches have a very short season, ending in May. 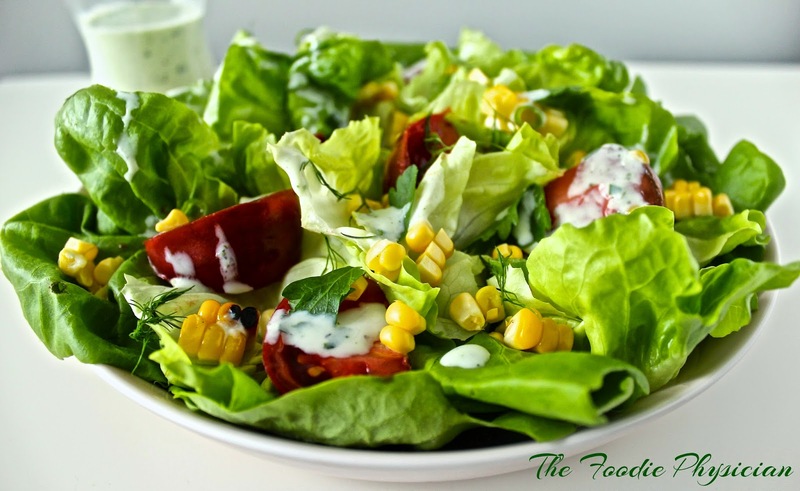 Make sure you wash your butter lettuce and wrap it in paper towels before storing in the fridge. The best way to save money on ethnic foods like Medjool dates is to shop in your local ethnic markets. Peaches are best when they’re just ripe, so be sure to squeeze test them before you buy. Summer is always my favorite time of year. Most of my favorite fruits and veggies are finally in season, especially berries! The fruits and vegetables listed here are probably more familiar to you, compared with the other seasons. This sweet treat is available during the summer months, with its season starting in June. An acquired taste, eggplant is available at its freshest starting in June. I love tomatoes in salads, sauces, or sliced with a little salt and pepper. Yum! The best time to get them fresh is in June. Red onions are a savory addition to many dishes. They are in season during the summer. Delicious straight from the source, green beans reach their season at the beginning of summer. A hybrid of blackberry and raspberry developed in 1880, loganberries are only available two months of the year, starting in June. The symbol of Knott’s Berry Farm, the boysenberry reaches its season in June. One of the few berries native to North America, the popular blueberry reaches season during the early summer months. Closely related to peaches, nectarines are available in the summer months, with their season beginning in June. Every year in June, my area has a watermelon festival. No wonder, as this refreshing treat reaches the peak of its harvest season this month. Avoid eggplants that are soft, wrinkled, or discolored. Tomatoes are an easy-to-grow plant and ideal for novice gardeners. To get the best nectarines, look for bold, bright colors. Popular in Asian cultures, this root vegetable can be eaten like a potato or substituted for artichokes. Gumbo is only complete with okra. Buy it fresh during the summer for optimal flavor and nutrition. More commonly called bell peppers, these crunchy vegetables make a wonderful addition to your summer plate. The cool, refreshing taste of summer arrives in the form of the cucumber, which reaches its season now. 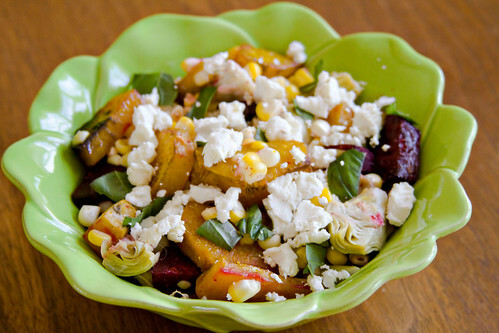 Summer squash is a name that covers a wide variety of squashes. These include zucchini, which grows best during the warm months of summer. 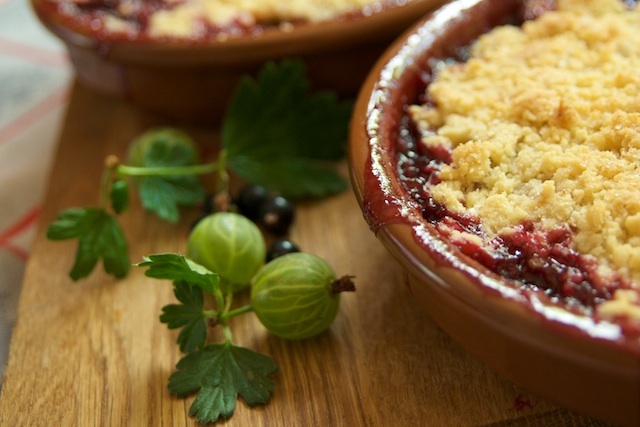 Available from May to August, gooseberries reach their peak in July and are at their best for picking then. A somewhat sour fruit that may require a touch of sweetness from honey or sugar, currants reach their season in the hot summer months. Possibly the oldest cultivated fruit in the world, grapes are available at their freshest from July to November. A hybrid between a peach, apricot, and plum, these sweet fruits are available only in July and August. A sweet fruit which makes an excellent jam, plums are available during the heat of summer. Many areas have berry farms, and a trip to one to pick your own may save you a bundle on fresh berries. Summer squash become bitter the larger they get, so choose produce that are eight inches or smaller. Look for firm plums that have just a little give to them. More commonly known as soybeans, these nutritious beans are ready to harvest in August. A key ingredient in salsa and many other Latin American dishes, the tomatillo is available during the summer and early fall months. Also called celery root, these potato-shaped vegetables reach season during the warmer months. Native to India and common in many Asian dishes, ginger root begins its season in August. A hardy root vegetable, potatoes are in season from June to August. A harbinger of late summer, chile peppers are in season until August. A delicate berry with a short shelf life, you’ll have to jump to your closest farmer’s market to get them. Not to be confused with green beans, shelling beans are named thus as you must remove the outer pod before you can eat the seeds inside. A catch-all name for the various types available, sprouts make an excellent addition to your favorite summer salad or sandwich. A necessity for any kitchen, herbs such as rosemary are grown and harvested during this time. Edamame is another food item that keeps well when frozen. Sprouts should be kept cold, no warmer than 40F. To keep your potatoes fresh, store them in a cool dark place. Bring on the pumpkin and apples! The official harvest season is here and with it some of our favorite holiday flavors. No, not a leg of lamb: lambsquarter is a green similar to spinach or chard. Salsify is a name used to describe two root vegetables, both of which can lend a rich flavor to traditional meals such as soup or mashed potatoes. Although apples can be found out of season in the market, they are at their best during this time of year. A fall fruit, persimmons are available from September to February. Technically a nut, pistachios are full of antioxidants and make a very healthy snack. Also known as Jerusalem artichokes, these tubers are native to North America and are available only during the cooler months of the year. The most commonly found orach cultivar is the red orach, which is referred to as French Spinach. My kids have an obsession with kale chips, and given the health benefits of this leafy green, I’m not likely to argue with them. An excellent source of vitamin C, jujubes are only available during the early fall. This root vegetable adds a kick to any dish you put it in, very similar to wasabi. Buy kale organically, as it may be contaminated otherwise. Store unwashed horseradish in a plastic bag in the fridge. Jujubes can be stored in the fridge indefinitely. Also called the Mexican yam, this vegetable makes a crunchy addition to fall salads. Not to be confused with the similar looking cucumber, bitter melon is a bit of an acquired taste; the name is a giveaway. But it’s very nutritious. The oldest nut known to man, walnuts are only in season this month. Named for its shape, star fruit is available now. I suggest trying it if you can—it’s delicious! Juicy and crisp, Asian pears are just a bit sweet. Harvested in the early fall, almonds can be found year-round in farmer’s markets. 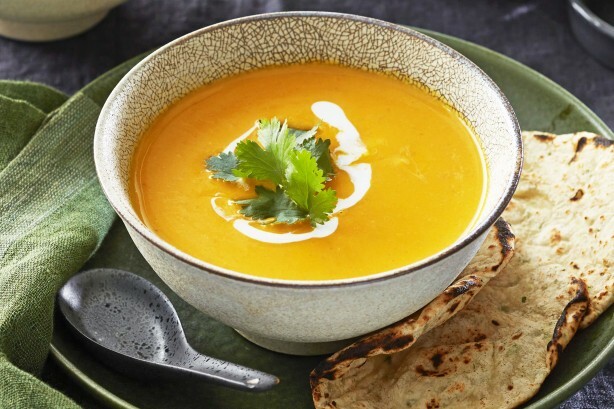 No October food list could be complete without pumpkin! Head to your nearest pumpkin patch to find the freshest available. Key limes are probably the most popular of the limes out there. Lucky for us, they’re available now. Technically an herb, chicory is available now to lend a unique flavor to your fall dishes. My kids call olives “finger caps” and turn them into little finger puppets. I prefer to eat them in pasta. And right now is a great time to get them at their freshest. When selecting pumpkins, make sure your pumpkin is completely orange. Chicory does not freeze well, so be sure to store it in the fridge instead. Store almonds in a cool, dry place. I can’t remember a Thanksgiving without sweet potatoes. No wonder, as these tubers are harvested during this season. My kids are not the biggest fans of Brussels sprouts, but now that I know when to get them at their freshest, we may just give them a second chance. Also called pineapple guava, these sweet tropical fruits are only around in November and December. A mustard flavored green, tatsoi are ready now for you to try in your next soup. Also called the Peruvian ground apple, yacons are similar in flavor to jicamas. A large, round pear with a short neck, Comice pears come into season in November and December. A citrus fruit used mainly for its zest, citron is available for your holiday baking now. Acorn, butternut, carnival, and other squashes fall under the catch-all title of winter squash, a type which is only available during the cooler months. Cabbage is at its best during this time of year, making it a go-to ingredient for many holiday tables. A versatile root vegetable, carrots make an excellent addition to many meals. Carrots lose moisture through their leafy tops, so if yours still have them attached, be sure to cut them off before storing. 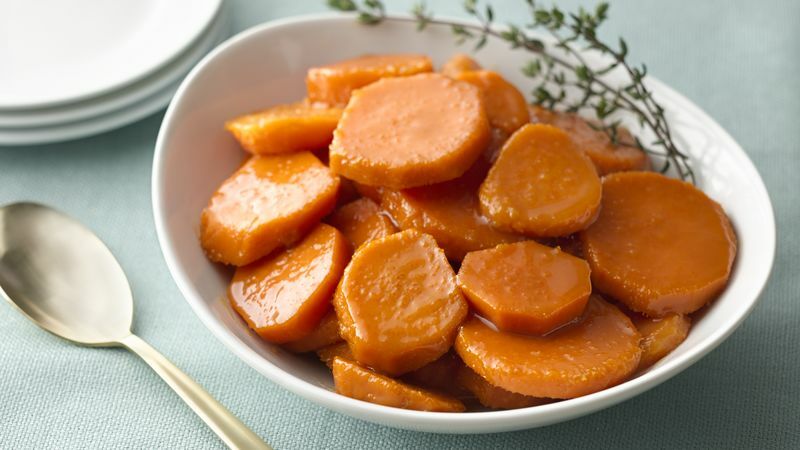 Sweet potatoes spoil fast, so be sure to use or freeze them quickly. Avoid yellowing leaves on your Brussels sprouts, as this can indicate that spoiling has begun. There are more produce items than what I’ve listed here, of course, but I hope this is a good starting point for you. Diet is such an important part of our lives and can have a profound impact on our health. That’s why it’s so important to know what food items are in season, to get the most of their nutrients as possible. Plus, you’ll avoid falling in a rut when meal planning, as you have new ingredients to use each season. Tell us what you thought of this list below, and don’t forget to share with your friends and family.